This is Washington DC-based duo Janel Leppin and Anthony Pirog’s second album, and first on Cuneiform. Their eponymous debut from 2006 was self-produced and sold well at gigs, garnering loads of attention for this pair of busy musicians (this is but one of many projects they are involved with). This collection of instrumentals mixes Anthony’s diverse range of guitar stylings with Janel’s deep classical and non-European cello capabilities. She occasionally picks up a guitar herself, as on the leadoff track “Big Sur,” that blends Byrds-ish jangly guitar with energetically articulated lines that call to mind King Crimson. 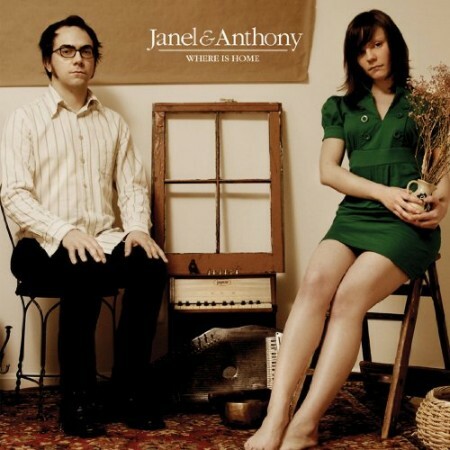 The songs serve as a sort of biographical journal of Janel and Anthony’s travels, either individually or from their touring experiences. Hence titles like “Auburn Road” and “’Cross the Williamsburg Bridge.” The listener will detect feelings of wanderlust, restlessness and ennui coming from the pieces, with a scope that rarely expands beyond the two musicians and an occasional backing track or two. Both have deep reservoirs of talent, demonstrated by traces of surf guitar wafting from “Leaving the Woods” or the looping soundscapes layered to form the dreamy vibe of “Stay with Me.” An expanded palette is explored on “A Viennesian Life,” including lap steel, harpsichord and Mellotron. But even in the bigger-sounding pieces, there’s a charming intimacy involved, as if these two are sharing their innermost thoughts and experiences. That they do this without a word being sung speaks volumes about the quality of the performances and the overall production. Highly recommended. Knowing that Janel and Anthony play cello and guitar doesn't tell you much about what to expect on this album. While those two instruments are prominent on every track, the variety of sounds heard goes far beyond just those two. Guitars come in acoustic and electric varieties, and you'll also encounter keyboards here and there. Plus there's a wide variety of of electronic processing going on, some as simple as effects and loops, some probably farther removed from whatever the original sound sources were. Usually, the impression is more of a small chamber ensemble rather than a duo. Given the absence of a drum kit, there's a gentleness that comes through; while the music is not always strictly diatonic, the dissonance, when it appears, serves to add poignancy rather than discomfort. The musicianship is never flashy, never spoiling a mood with showy sprays of gratuitous notes. The pieces range from brief interludes under a minute long to one nearly eight minutes, and the longer ones often take detours into unexpected territory, such as the arhythmic cello-and-electronic-noises middle part of "Where Will We Go" which is bracketed by lovely melodic sections. But these two make it work, keeping the electronics from overwhelming the pensive mood. Janel and Anthony make music that knows beauty is often enhanced by its flaws, saved from being too precious and fussy by a little bit of chaos.